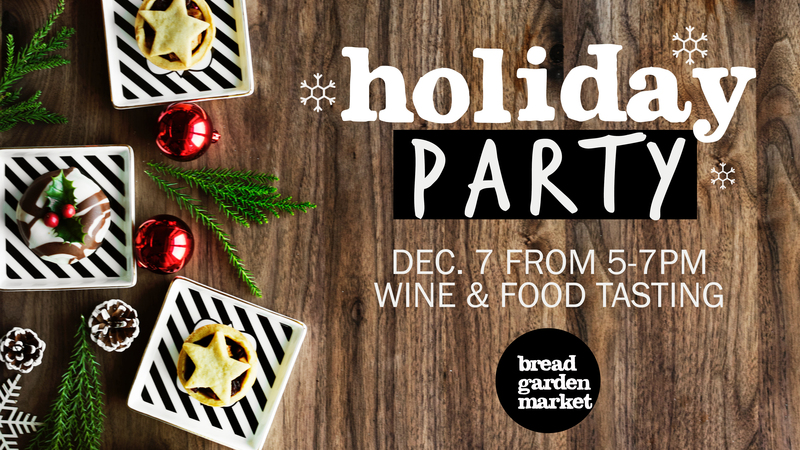 Join the party and get a taste of the seasons at the Bread Garden Market’s annual Holiday Party. We’ll provide the wine, food, and fun. You bring your friends. Get inspired & get jolly, at NO CHARGE, in downtown Iowa City.